Lauro de Oliveira Vianna has been an attorney since 2005. 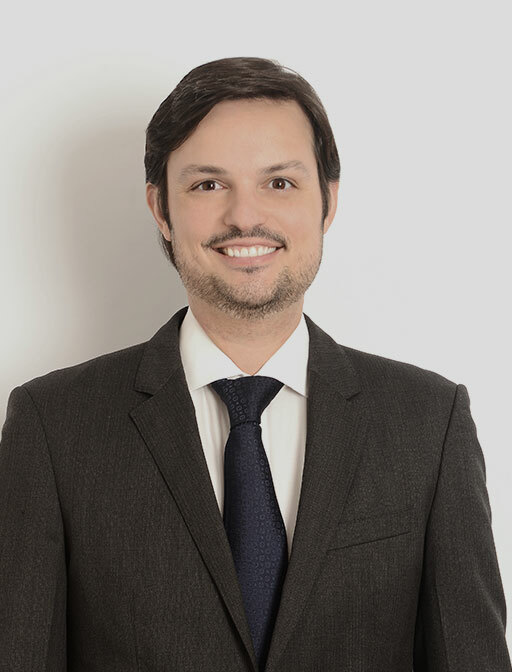 He is a founding partner of Novotny, Ney, Saldanha, Penna, Ponte, Vianna & Corrêa Advogados, having extensive experience in tax, social security and customs law. Lauro represents domestic and international clients of all sizes and of different economic sectors, including individuals. He specializes in tax and social security law, providing legal counselling and due diligence services in M&A operations and other business transactions. He also represents clients in litigation. His work in litigation includes preventive counseling, advising on strategies and assistance with audits conducted by tax authorities. He participates in important leading cases. His work includes the analysis of tax aspects in corporate reorganizations and restructurings, including those involving foreign trade transactions, customs law, international investment and financing. He also assists clients in the review of tax issues related to taxation regimes, treaties to avoid double taxation, tax benefits and transfer pricing, among other issues. He also prepares and reviews ancillary obligations, such as individual tax returns, statements of Brazilian capital abroad, electronic requests for restitution of overpaid taxes and compensation statements. Lauro also assists clients in opening offshore entities and changing tax residence to other countries or to Brazil. Lauro is a member of the Financial and Tax Law Committee of the Brazilian Lawyers Institute (IAB), the Brazilian Association of Financial Law (ABDF), the International Fiscal Association (IFA), the Brazilian Institute of Tax Law (IBDT), the Brazilian Society of Tax Law (SBDT), and the Tax Debates Group (GDT-Rio). He also has experience in the academic field. Since 2017 Lauro teaches the class on “Tax Planning” at the Master’s Course in Business Economics of Universidade Candido Mendes, in Rio de Janeiro. He also taught the class on “Tax Planning” at FGV’s Undergraduate Law Course in Rio de Janeiro (2011), as well as at other graduate courses of the same institution (2011 to 2015).